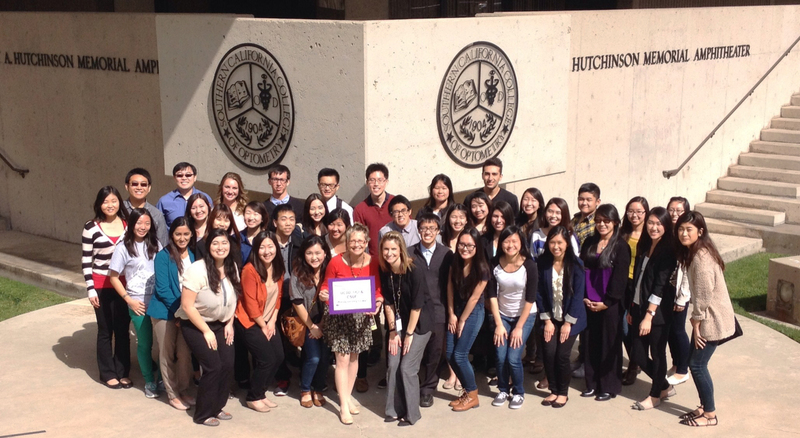 Eryn Kraning (center), Director of Admissions visiting UC Riverside’s “Precision for Vision” pre-optometry club. Being part of a pre-optometry club is a great way to get plugged into your future profession, learn about the various optometry educational programs, and learn about how to make yourself a competitive applicant. Pre-optometry clubs attract students who are not familiar with optometry. There’s wisdom in the movie line, “If you build it, they will come.” By enhancing club membership, you are serving the profession as a whole. Over the last several years, SCCO has helped many pre-optometry clubs get started, and a question that’s asked over and over is “How do we increase our club’s membership numbers?” Here are a few tips we’ve come up with to answer that question and help the clubs to grow and thrive! If your club has other ideas, please post them as comments to this blog article so we can learn from one another. Undergrad students are always time-pressured, and so the key to getting club members to show up to meetings is to make the meetings worth their use of this limited resource. Incentives always help make it worth their time: providing snacks, bringing in speakers (optometry school representatives, practicing ODs, current OD students, etc. ), providing community service opportunities to help club members gain experience vital for the application process, OAT study sessions and mock interviews are all great examples of what will keep current members engaged, and will also give new people a reason to join the membership. 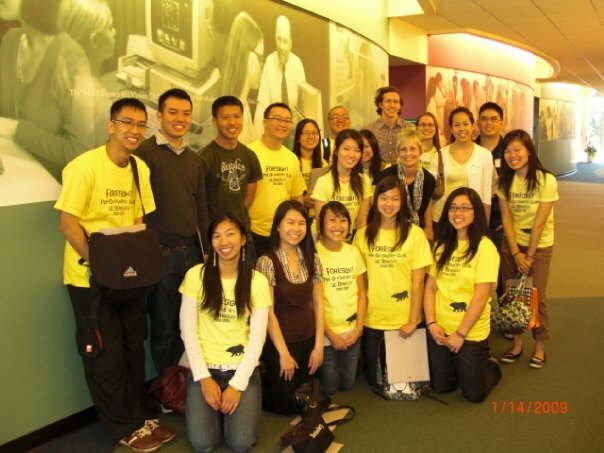 Berkley’s Foresight visits SCCO in 2009. A sunglass company that donates part of their proceeds to help restore sight did a campaign where they had people stand on street corners blindfolded wearing big signs that cited stats like “80% of vision problems worldwide are avoidable or even curable.” If you use this approach, make sure you use legitimate and updated facts. Look through your school’s club directory and see if there are any other clubs on campus that you could visit and share with about optometry. Examples of good choices would be pre-health clubs, any cultural group interested in healthcare, science clubs, etc. Even if you get only a 5 minute spot during their general meeting to say “Here are the top 3 reasons to become an OD, I’ll leave flyers so you can contact me if you’re interested in hearing more,” it’s better than nothing. You could also invite the club’s students to come check out your pre-optometry club. 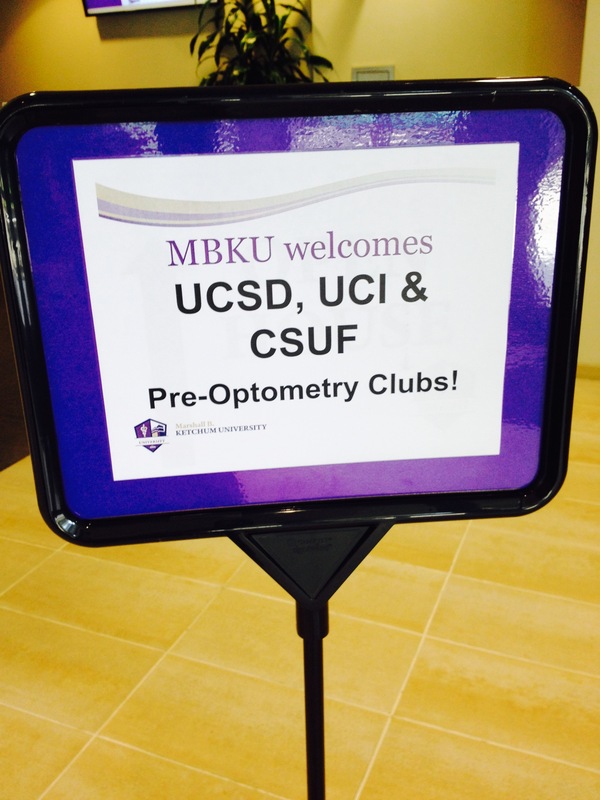 We LOVE to host pre-optometry clubs on campus! Here’s typical agenda for a pre-optometry club visit to MBKU. To decide if a school is right for you, a campus visit is a must and make sure it’s a good fit! 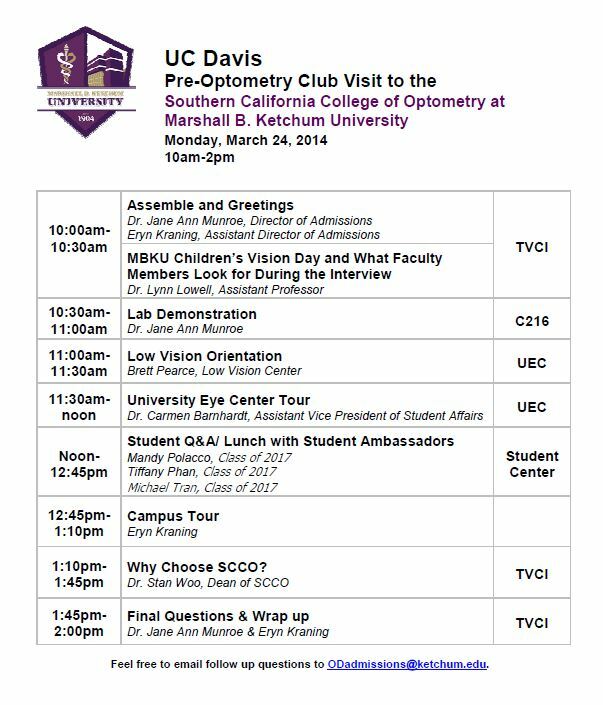 We LOVE to host pre-optometry clubs on campus and plan a whole day for your visit. If you visit SCCO, we’ll have a full day planned for you including speakers, tours, and lunch with our students. Many schools have pre-health or freshmen seminar classes for the specific purpose of helping students figure out what they want to do early on in their college career. Contact faculty members who teach these classes and see if you can share about optometry. It’ll help to impact students while they’re in their first year or so of college, and they’ll still have time to take on leadership roles in your pre-optometry club fostering continuity. Inform the pre-health advisors on campus know about your club and the profession. Feel free to give them our “Why Choose Optometry” handout, and be sure you give them club contact info incase students want to know more. If they’d like to learn more about what other professions might be of interest to the students they advise then invite the advisor to attend a club meeting, especially interesting when a speaker is scheduled. You can have inexpensive yet professional looking club business cards made. Check out www.vistaprint.com and use business cards as your primary way of giving out your club’s information. Members or officers can pass them out; give a stack to pre-health advisors; leave some behind if you do talk to other clubs. Make them catchy and intriguing, yet informative. I usually say keep the back blank white and non-glossy. It’s typically cheaper to only print one side, reserving the other side for handwritten notes if needed (i.e., “club meets every Tuesday at 5pm in room 221 so hope to see you there!”) Make sure the information on the card is general enough to make the cards useful for multiple years in a row. It goes without saying that you should set up a Facebook Page or Group for your own club on Facebook, which is the best way for potential members to find you and interact. Create an email address that can be passed along year to year to those who take over the officer positions. This simple tip will help create longevity for your club by keeping its contact information the same year after year. Use this link to register your club with ASCO (Association of Schools and Colleges of Optometry), which will put it on the radar nationally, and help admissions officers to find it and arrange for campus visits. We roll out the red carpet for pre-optometry club visits! Make club t-shirts! These are great ways to advertise and get noticed. Work the cost of a t-shirt into the club membership fees, and suggest members to wear their club shirt on meeting days. Plan some type of community service event, preferably related to vision, and open it up to anyone on campus. You could try to advertise it as a “resume booster for grad schools,” and make it mandatory that a member attend one meeting before he or she may serve at the community service event. It would be ideal to set up community service opportunities on a regular basis, which would be ideal for members and easier to plug new members into. If there’s an event on campus that you’d like us to participate in, let us know! Email us information about the event and we’ll do our best to be there. If possible, arrange it so that we might attend the event and speak to the club on the same day, which would be the best use of our time and yours. If you have any other tips that should be added to the list, please let me know in the comments section. No pre-optometry club on your campus? Here’s a flyer with information on how to get a pre-optometry club started on your campus. A joint visit with pre-optometry clubs at UCI, UCSD, and CSUF. What a great time we had!